Still haven’t bought your coats for the 2015 coat season? 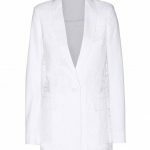 The farfetch.com editors have put together a guide showcasing the ‘definitive coats of the season’. Are you a red leather trench coat kind of girl or more the “English Lady” nubby tweed and houndstooth coat sort? Is a military cape more your speed, or do you get more excited over a fluffy, rainbow colored fur coat? If you need an assist finding exactly the right coat to meet your 2015 coat season needs, check out the guide on the Farfetch.com website here. So what made the Farfetch definitive coats of the 2015 coat season list? This is of course not the everyday girl’s winter coat. 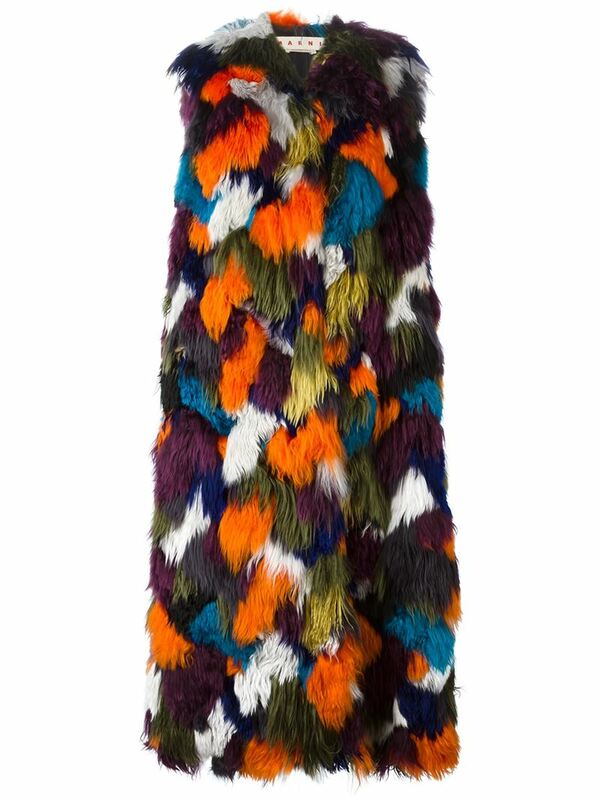 You probably won’t see too many lady’s walking by on the street where you live wearing this multicolor sleeveless fur coat. The $13,140 price tag is out of most 9-5 working girls’ budget. 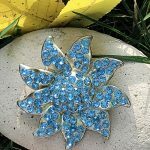 But how pretty is it? It looks so soft and fluffy; but probably if we could afford it we wouldn’t buy it unless it was faux fur. And even then, faux fur can be mistaken for real fur. So unless you’re going to advertise on the front and back “This isn’t real fur so please don’t attack me for wearing it”, you might run the risk of getting stuff thrown at you depending on the circles in which you move. 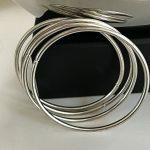 Much more affordable than the Marni multi-color sleeveless fur coat; but still a bit pricey for the average girl’s budget. 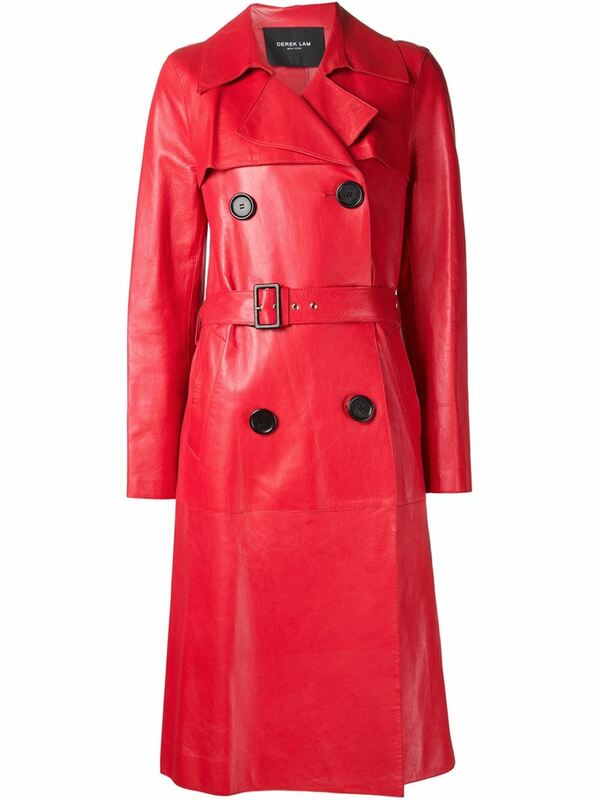 We love this red leather trench coat from Derek Lam. It looks so opulent–like it’s worth every penny of that almost $6000 that it costs. The cape coat is one of those styles that’s either ‘you’ or not. Military style is also something you either like or you don’t. So when you combine the two to create a military style cape coat, you’re going to be appealing to those select few who love both the cape coat look and the military style. 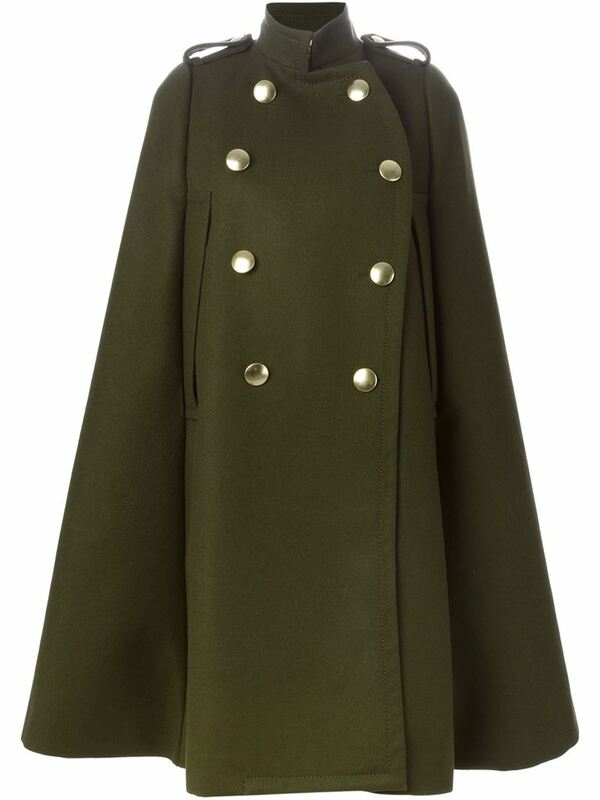 If you love a cape coat and military style clothing, this SACAI LUCK Khaki green wool military-style coat might just fit the bill. The price tag isn’t as daunting as the Marni fur coat or the Derek Lam leather trench coat. 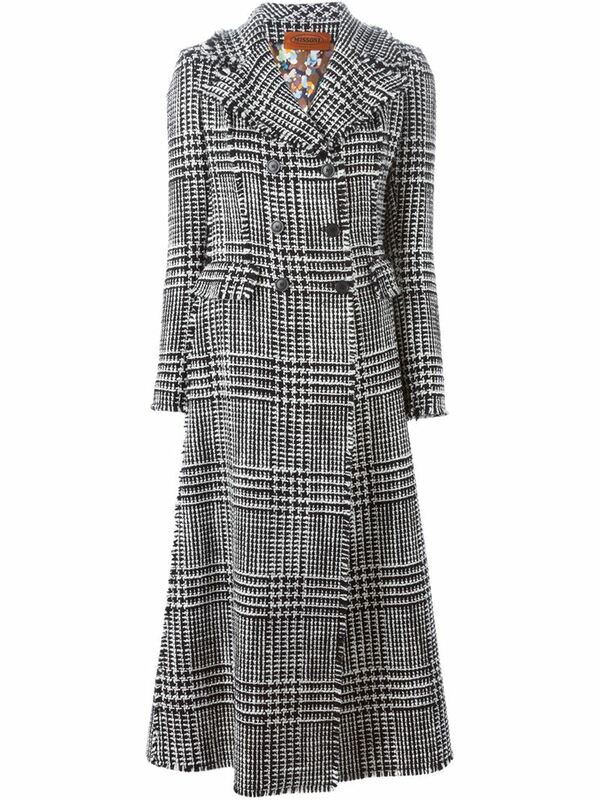 Want a coat with an ‘English Lady’ vibe? 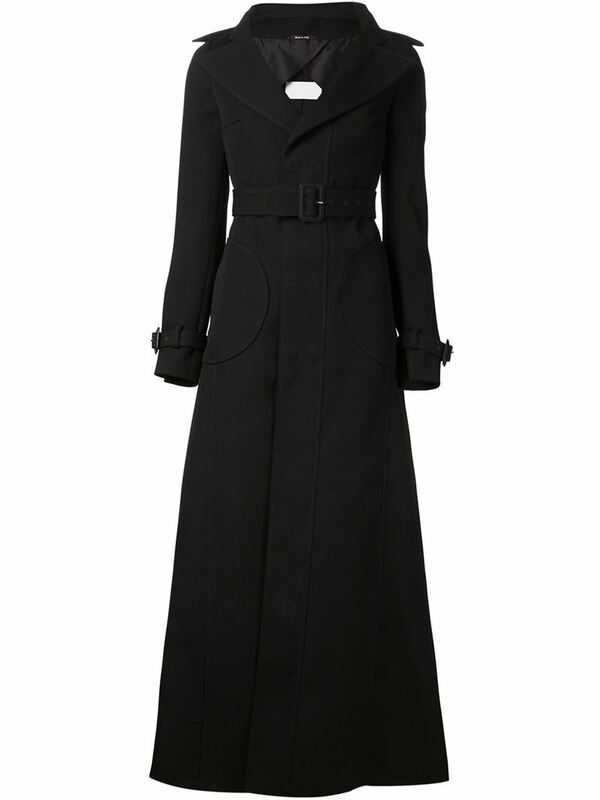 Apparently this is the style of coat you need if you want to look all prim and properly garbed for the season. via Farfetch – The English Lady – Brush up on your manners this season, as AW15 heralds the return of the frightfully proper English heritage coat. Savile Row mainstays such as Prince of Wales check, nubby tweed and houndstooth look modern again, especially when worn with off-kilter accessories and your favourite granny handbag. Do you prefer a belted coat that falls all the way to your ankles and flares out like a flared skirt or dress? These are just some of the coats featured in the ‘definitive coats of the season’ editorial. Not all the coats have such impossibly high price tags. So check out the feature even if it will taking winning the lottery to get the Marni fur or the Derek Lam red leather trench in your closet. You might still find a coat you love that you can actually afford. Have fun shopping and good luck finding the perfect coat to make your coat season toasty and chic. Next articleCan you wear a sheer blouse to work? Which Tamara Mellon boots say you?